When it’s time to sell your business, do it with the right team. Waterfield has been buying, selling, financing, and operating businesses since 1887. - J. Randall Waterfield, Co-Chairman & CEO. Welcome to a Legacy of Trust. Waterfield buys and builds well-run American businesses. If you have achieved excellence, and it’s time to sell, please see our investment criteria to see if your business qualifies. Waterfield Private Equity Funds I, II, & III are in the business of acquiring companies that have in excess of $10 million in recurring EBITDA. 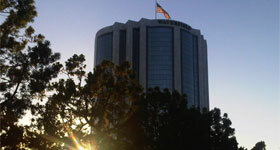 Waterfield has particular expertise in finance, insurance, technology, energy, and real estate. Waterfield maintains an investment program for its Principal’s equity. If you would like to invest alongside us, simply inquire about investing in our proprietary and preferred hedge funds, which is where we put the overwhelming majority of our investment capital. Investment is by invitation only. Waterfield’s Family Office invests for the long-term, through offices in New York, Chicago, Los Angeles, San Francisco, Miami, London, Indiana, Oklahoma, and Texas. Preferred industries include agriculture, insurance, technology, security, energy, real estate, and manufacturing. Waterfield companies have a common mission to make the world a better place. Waterfield’s focus is on its culture, built on over 80 years of customer-first ideology.